Kumar Builders Chairman and managing director Mr Lalit kumar Jain, Chairman of KUL(Kumar Urban Development Limited) formerly known as Kumar Builders nicknamed as the “Green man of Pune” for his eco-friendly nature, who has been elected as the Chairman of Confederation of Real Estate Developers’ Associations (CREDAI) has vowed to take up the issue of transparency in real estate deals. Mr Jain, commenting on his plans for CREDAI, said the developer community as such has been facing several problems relating to transparency in transactions. “We at CREDAI have planned to tackle with this problem head-on and ensure customer delight in our transactions. We are also keen to ensure that the customer relationship management gets a new meaning in real estate, for real,” he said. Mr. Jain, Chairman, Managing Director of Kumar Urban Development Limited (KUL) was earlier the President of CREDAI and his election as the national Chairman marks a new high in his nearly 3-decade long experience as a developer. A people’s man that he is, Mr Jain took active part in organizing the developer community. In fact, he was the youngest Secretary and President of the Promoters Builders Association of Poona (PBAP). He, along with Mr JiendraThakkar, has also played a stellar role in creating and developing the Federation of Promoters Builders Associations of Maharashtra. 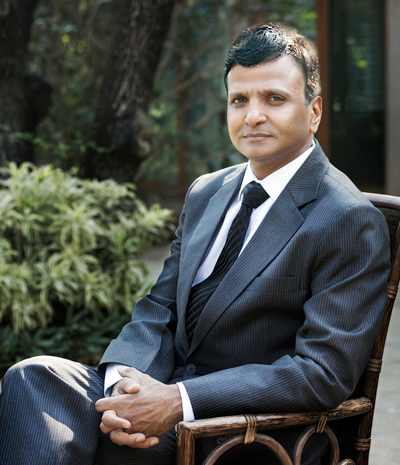 Mr. Jain has been associated with CREDAI right from its inception. As the first convener of CREDAI national convention in Vigyan Bhawan he is also credited for mobilizing the largest number of developers on one platform. He has been the Vice President of CREDAI twice and has significantly contributed to the organsiation’s activities and representations on policy and legal issues.